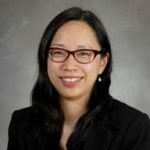 Lillian S. Kao, MD, MS FACS is Professor and Division Chief of Acute Care Surgery at the McGovern Medical School at the University of Texas Health Science Center at Houston. She is also the Vice-Chair for Quality and the Vice-Chair for Research and Faculty Development in the Department of Surgery. Her research interests are focused on surgical infections, quality improvement and implementation research, and comparative effectiveness research in general surgery.